TOKYO — Prosecutors questioned the wife of Nissan's former Chairman Carlos Ghosn in a Tokyo court Thursday, after her husband was taken into custody on financial misconduct allegations. A person familiar with the situation told The Associated Press that Carole Ghosn was not a suspect and would be questioned voluntarily with her husband's legal team present. The person spoke on condition of anonymity because of the sensitivity of the matter. The sessions were not public. 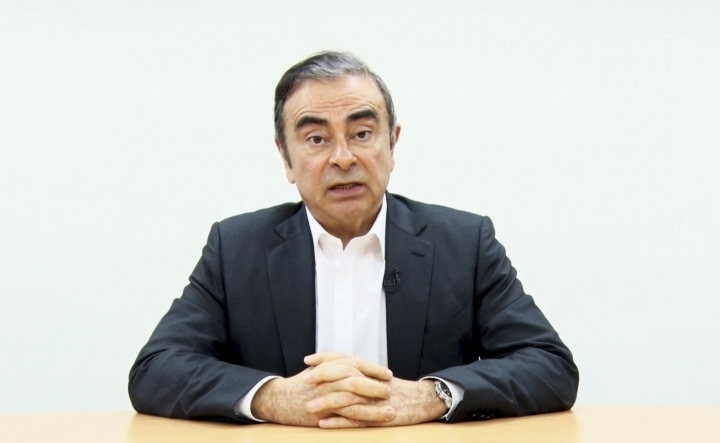 Ghosn's lawyer Junichiro Hironaka said afterward he was confident that Thursday's proceedings would support his client's defense, Kyodo News agency reported.